Lovely vintage sterling silver and chalcedony pendant, measuring a substantial 2.5″ height x approx. 1.5″. 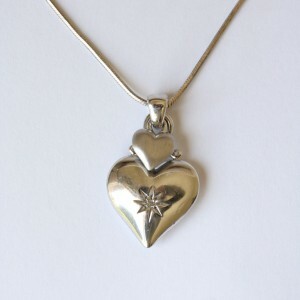 Fully hallmarked for 1972, with makers marks.